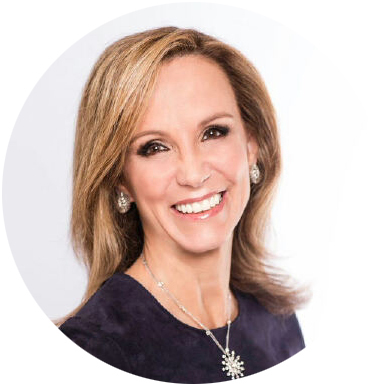 Aspen Strategy Group Member, Executive Vice President, Worldwide Government, Legal and Business Affairs, MacAndrews & Forbes, Inc.
Frances Fragos Townsend is an Executive Vice President for Worldwide Government, Legal and Business Affairs at MacAndrews and Forbes Incorporated. She works across MacAndrew’s portfolio companies focusing on international, legal, compliance and business development issues. Prior to that she was a corporate partner with the law firm of Baker Botts, LLP. From 2004 to 2008, Ms. Townsend served as Assistant to President George W. Bush for Homeland Security and Counterterrorism and chaired the Homeland Security Council. She also served as Deputy National Security Advisor for Combatting Terrorism from May 2003 to May 2004. Ms. Townsend spent 13 years at the U.S. Department of Justice under the administrations of President George H. W. Bush, President Bill Clinton and President George W. Bush. She has received numerous awards for her public service accomplishments. Ms. Townsend is a Director on the board of three public companies (NYSE: FCX, NYSE: WU, NASDAQ: SGMS) where she serves on: compliance, compensation, governance and executive committees. She also serves on three private company boards where she chairs all three compensation committees and is the Chairwoman of one Board. Ms. Townsend is an on air senior national security analyst for CBS News and, before that, she was at CNN for seven years. She regularly appears on network and cable television as a foreign policy, counterterrorism, national and homeland security expert. Ms. Townsend also serves on several government advisory and nonprofit boards. Ms. Townsend is a trustee on the board of the New York City Police Foundation, the Intrepid Sea, Air & Space Museum, CSIS and the Atlantic Council. She is also a member of the Council on Foreign Relations and the Trilateral Commission. She is a member of the Aspen Strategy Group.